Queens High School students Shannon Blake and Cloanna Brown were awarded the Hope Elliott Memorial Scholarship for their demonstration of academic, personal and civic promise. The students receive financial aid in the form of tuition and PTA fees, insurance, gears and lunch allowance to assist with furthering their educational pursuits. 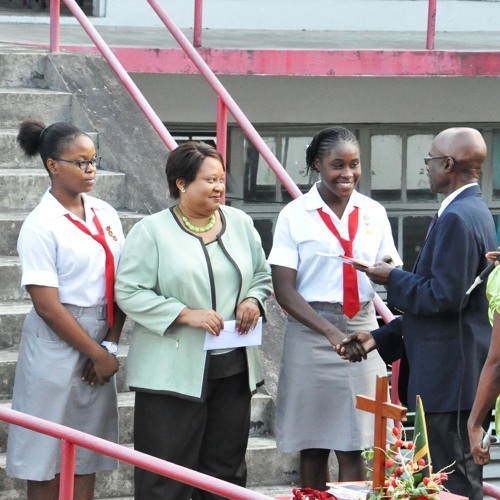 Shannon and Cloanna have achieved good academic grades, excellent CSEC passes, are involved in school activities and participate in co-curricular activities. So far, 6 students have benefitted from the scholarship fund.